Shape: loose fit shoe for most feet, with strap; leather outsole; suitable for indoor and outdoor wear. 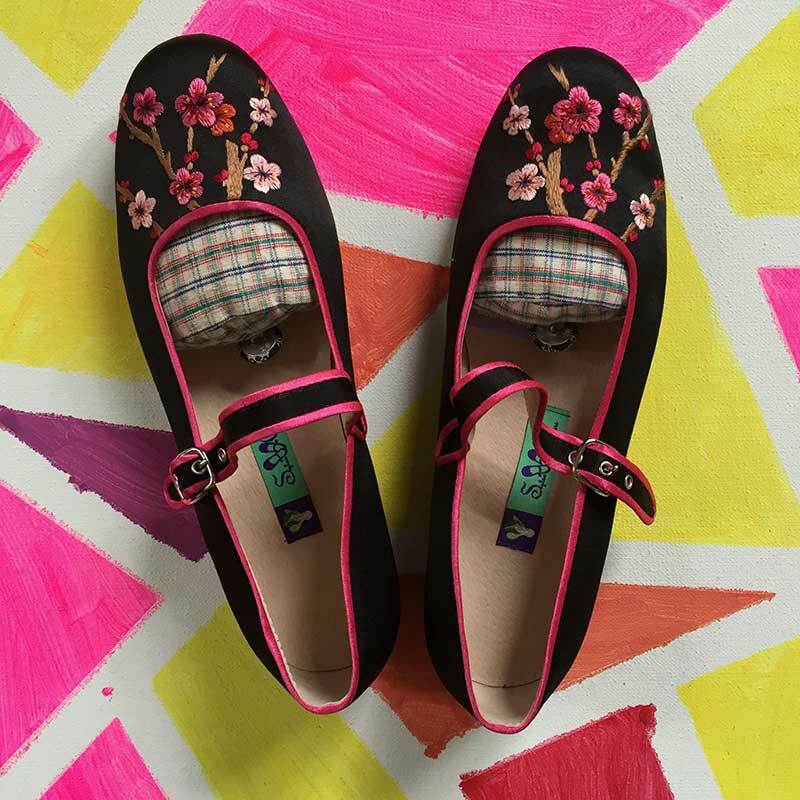 Shipping: Suzhou Cobblers will ship in about three working days. 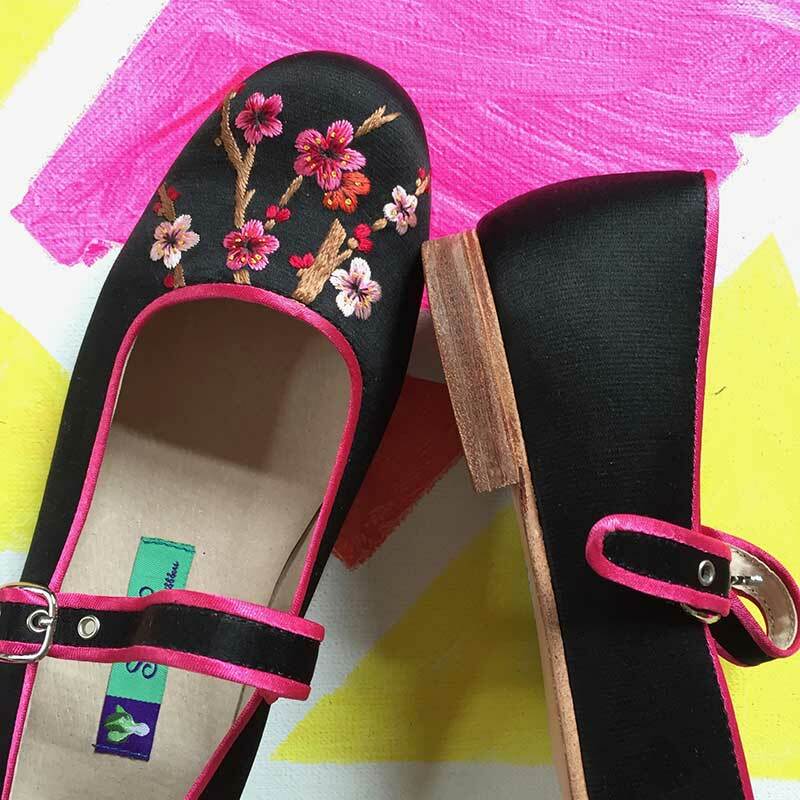 If ordered products aren't in stock, Suzhou Cobblers customer service will advise about a revised timetable. Domestic China transportation: SF Express. International (outside China) transportation: DHL, FedEx, or similar. NOTE: a shipping addresses cannot be a PO Box or mail drop; signature required upon delivery. 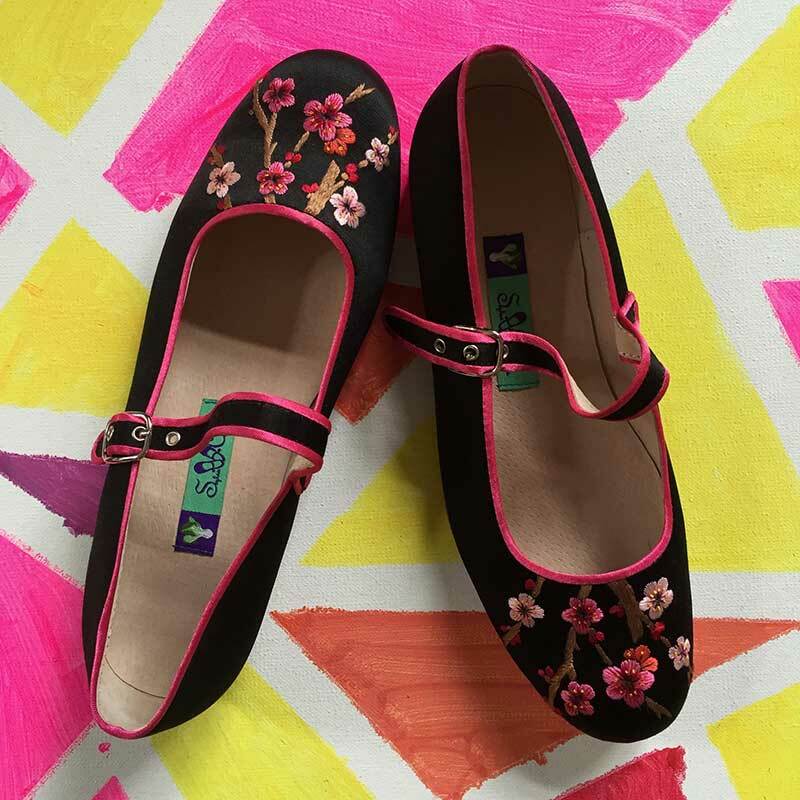 Any questions can be directed to Suzhou Cobblers: +8621 63217087. 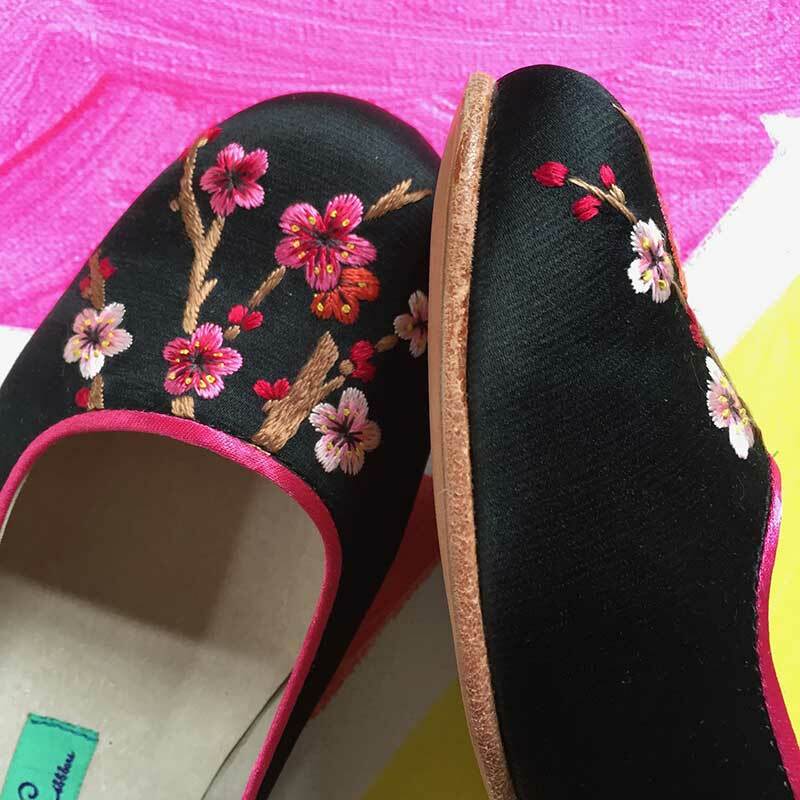 Suzhou Cobblers will accept returns upon a customer's request. Returns can't be accepted for special orders or custom-made items. Please return any product within 10 working days, at your cost. Returns should be shipped with the original packaging and the product shouldn't be used, washed or modified. For shipping from outside China, please contact us in advance for special instructions. Use DHL, FedEx or similar services, as postal returns can't be accepted. In any returned package, please include name, email address, contact telephone number and a return shipping address. Refunds will be sent within 10 days after good are received by Suzhou Cobblers, usually by PayPal. Please direct any questions to us by email. 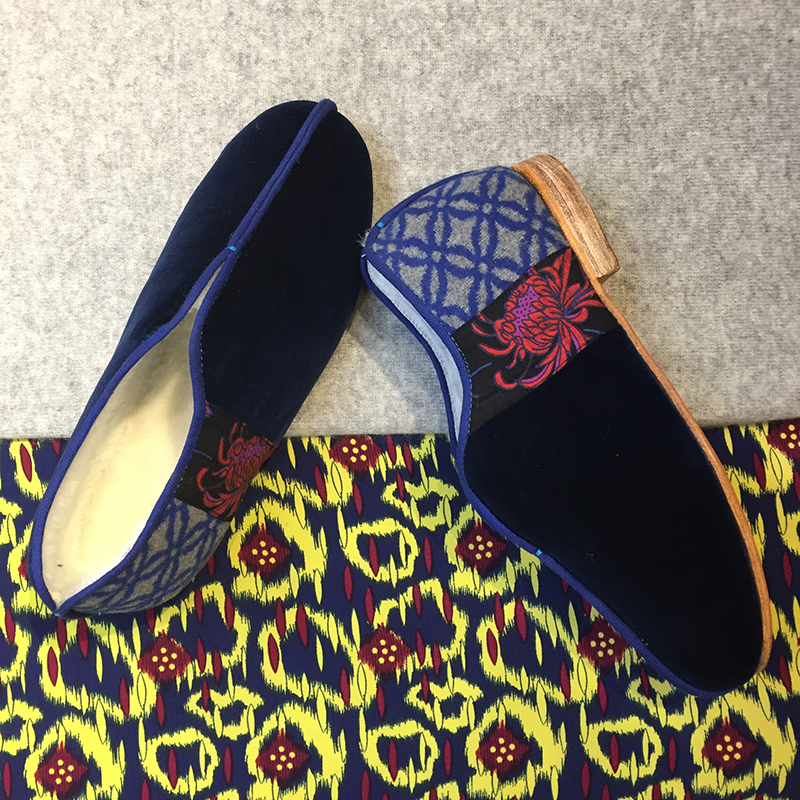 How to clean silk shoes? That's difficult, as silk can't easily be cleaned -- UNLESS IT IS PROTECTED IN ADVANCE. The first step is to protect the shoes so that they won't easily get dirty. And if the protection is done correctly, silk can be cleaned. Oil based protective sprays like this for materials including cotton and leather usually also work with silk. To apply, spray the protection on the surface of the shoes to create a layer that will repel water and grime. Whichever brand you choose, make sure it is designed to protect material. To clean after the protection is in place, dab a small amount of clear detergent on a damp white towel and gently tap on the dirty area. Still, take care. 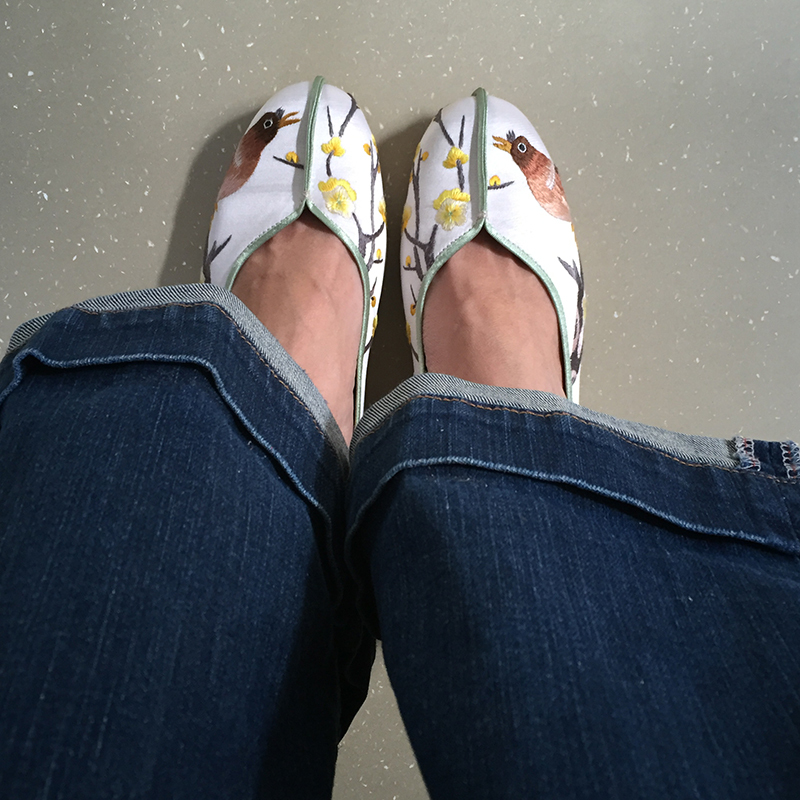 Suzhou Cobblers products aren’t waterproof. Our products aren’t usually suitable for foul weather and the protection won’t help much on a rainy or snowy day.